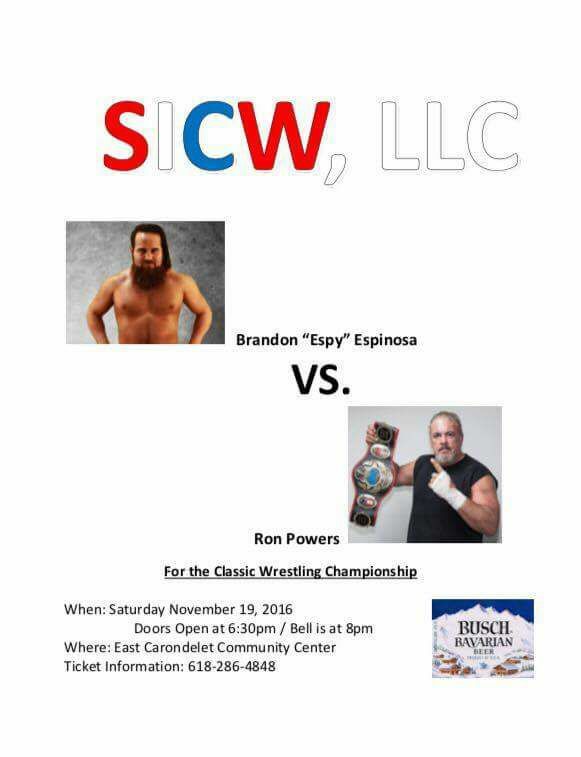 Already signed for the Saturday November 19th in East Carondelet Illinois at the Community center, Brandon Espy Espinosa gets a shot at the SICW Champion Ron Powers. Get your ticket reservations by calling 618-286-4848. This entry was posted on November 11, 2016 at 11:33 pm	and is filed under Uncategorized. You can follow any responses to this entry through the RSS 2.0 feed. You can leave a response, or trackback from your own site.